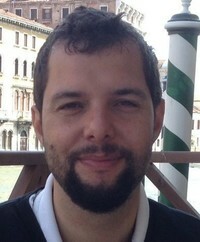 Pietro de Perini is Ph.D. candidate at City University, London - Department of International Politics. His doctoral research deals with the promotion of intercultutural dialogue in EU policies towards the Mediterranean since the end of the cold war. He is also junior researcher at the Human Rights Centre of the University of Padua. He holds an MA in Modern Languages and Science of Communication (Faculty of Arts), a BA in International Relations and Human Rights and a MA in Institutions and Policies of Human Rights and Peace from the University of Padua (Faculty of Political Science). His research interests focus on international human rights institutions with particular regards to regional organisations (European Union, Council of Europe, OSCE) foreign policy and human rights, intercultural dialogue and human rights, EU foreign policy and Euromediterranean relations, communication of human rights.